Criminal Tax Defense – Legal Support for Individuals throughout Michigan and Beyond! Our Tax Resolution Attorneys are experienced in all matters involving tax resolution, tax dispute, and general issues relating to IRS tax and debt relief. Our attorneys are extremely knowledgeable in the local, state, and federal tax code, and can help you today! Our legal experts work with clients throughout Michigan, Oakland County, Wayne County and Beyond. If you have an IRS tax case please contact us immediately. Let’s get started rebuilding your financial security. 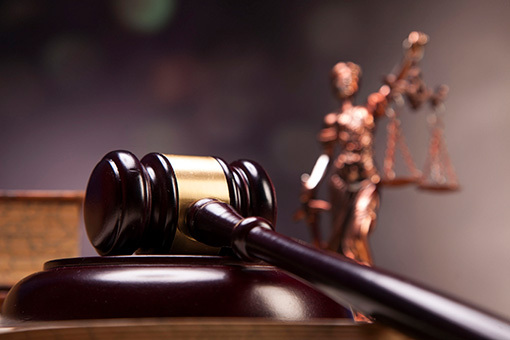 Contact our Experienced Law Firm For Help With a Criminal Tax Defense Matter. The Internal Revenue Service (IRS) is the only federal government agency able to pursue criminal tax evasion charges or criminal violations of the Internal Revenue Code. IRS tax defense cases (of a criminal nature) may involve the following: tax evasion, tax fraud, refusal to file tax returns, pay taxes, or factually reveal sources of income to the IRS or a state tax agency. Criminal charges may impose fines, interest on taxes owed, fees for prosecution, incarceration (jail time), personal humiliation and damage to a business reputation. A taxpayer’s best defense is to hire a tax attorney, who specializes in IRS criminal tax defense, to represent them during an IRS criminal tax defense investigation. Looking for an Experienced Criminal Tax Attorney in Michigan? Listed below are several helpful tips to avoid incarceration due to criminal tax evasion. In the USA, unless an extension is granted, taxpayers must annually file and pay taxes before the April 15 due date. In an expedient manner, respond to all IRS communication. Failure to respond will intensify an IRS investigation. During an IRS audit or criminal defense investigation, provide full cooperation. Provide legal, factual, and consistent information to the IRS and state tax agencies. Report consistent facts to CPAs, tax attorneys, law enforcement agencies who might receive information about a (criminal) tax defense investigation. Do not destroy legal records considered to be evidences as part of an IRS (criminal) tax defense investigation. Be honest, file taxes and pay them by the scheduled due date. Do not lie to an IRS investigator. Hire a criminal tax defense attorney to work the IRS investigation. Be prepared, professional, cooperative, factual, consistent, and be honest and composed during an IRS investigation. Read all IRS investigation documents and have a (criminal) tax defense attorney review all documentation. The IRS, US Attorney, and the Department of Justice – Tax Division may be involved in a tax criminal defense case. The IRS goes to great length to investigate and prove that taxpayer fraud, or any criminal related activity, has occurred before launching an investigation. The best defense is to hire an IRS tax attorney specializing in criminal defense tax evasion and tax fraud cases.